Most of the time, here on my website, I talk, sing, and write about the things I think you’ll find helpful. And yes…I share from an unabashedly Christian perspective. And most of the time I hardly mention my books and music for sale. But, like anybody working to pay the bills I have to talk shop once in a while. I hope you won’t mind if I do that today, and for a little while. I’ll be sharing the lyrics here in my articles. In fact, some of the lyrics have been published in some previous articles…but I’ll post ’em again. 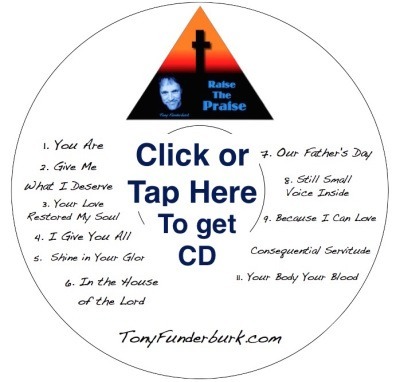 I’m gonna offer the 12 songs on CD for only $9.97 and the downloadable version for only $7.97. 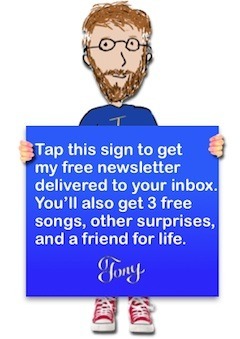 Just pick your favorite way to get songs and click or tap to get ’em. As always…I’d love to hear your feedback. I hope they bless you as much as they did me as I wrote them. And I hope they encourage you to “Raise The Praise” to your living, loving Creator.